Behind the regal Victorian facade lies daring contemporary design that effortlessly blends with the building's original features. 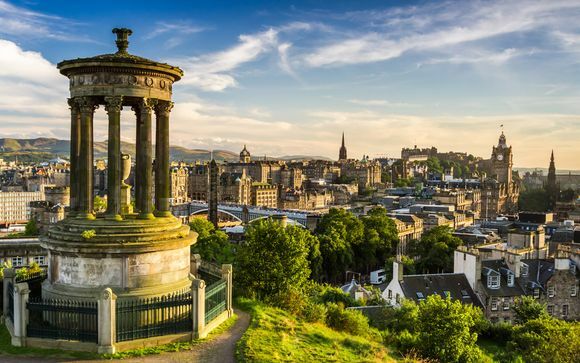 This hotel is perfectly placed for discovering Edinburgh, close to a myriad of shops, delectable restaurants & impressive sights such as Edinburgh Castle - just 20mins away! With quality, sumptuous fabrics in all rooms, four poster beds in the luxury suites and spectacular city views from every room, this hotel provides a unique experience. Running parallel to this imposing castle is the historic George Street where some of the city's chicest bars can be found along side designer boutiques and the iconic Standing Order Pub, which is housed inside an old bank. And nestled between this vibrant streets and the Prince Street Gardens is Rose Street, a charming pedestrian only street which is a million miles away from its original use as servant entrances to the grand houses on both George Street & Princes Street. 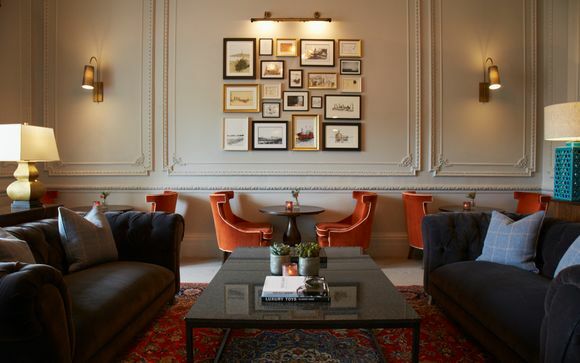 This family-run hotel offers elegant interiors housed within 2 historic Victorian townhouses, which are a prime example of the elegant Gothic revival style that is so prevalent throughout Edinburgh. This hotel invites to you in to relax after your travels to enjoy a resplendent glass of the Scotland's famous whiskey in front of the bar's intricately carved fireplace & plan the next day's adventures as the glowing embers warm you.